Keep in touch with your friend and family at home: Finding balance here is very important. Talk to them enough to not have the feeling you’re missing out on important things, but don’t be tied to your computer and miss what is happening in your new country. That way it will just be a lot harder to adjust. Go out and distract yourself: Find a hobby to distract yourself, go sightseeing, running, taking photos or start writing. Find whatever makes you happy and don’t sit at home and have the walls closing in on you. Find new friends, both locals, and other expats or exchange students: Locals will make you feel more immersed, plus contacts to locals might lead to amazing opportunities for holidays. Who doesn’t want to celebrate Christmas with a local family? Exchange students, maybe even some from your country can help, because they are going through the same. You’re all missing home, missing your language, having the same struggles. Find the healthy balance: You don’t have to become a 100% authentic citizen of the country you’re going to. The goal is to open your mind to other cultures, not give up your own and become someone else. So it is okay, to celebrate your holidays, or to read a book or watch a movie in your native language. It is also okay to hang out with people from your home country. But remember why you are studying abroad: you want to learn more about other cultures and you will feel a lot better, when you feel integrated. So don’t shut out everything that feels strange or uncommon to you. Embrace it. Deal with the ups and downs: Even after the worst initial phase of culture shock and after you feel like you settled into your student abroad life, be aware that culture shock can hit you again and again at weird times and strange places. Even expats who are living abroad for multiple years experience that. The reasons are usually the ups and downs of the normal life. Living abroad and the feeling of living life the fullest can intensify those ups and downs. The ups feel even greater, the downs a lot worse. Why? Because at home we have a safety net in case something bad happens to us, while living abroad this net might be weaker. if you get your phone stolen at home it is most likely not a big deal. You might have an old spare one in your desk drawer, can use your landline or the phone of your best friend. Abroad this might be different and you might struggle more. On top of that, it is just natural to wish ourselves to a better place when something bad happens, and this place is usually home. But now I have scared you enough. You can deal with this, the same way as with the initial shock. Talk about it, ask your new friends for help, and just do something about it. Keep a record of memories: This might not directly cure culture shock, but it will show what a great time you’re actually having and how lucky you are. Plus you have a nice photo book / memory box once you go back home. 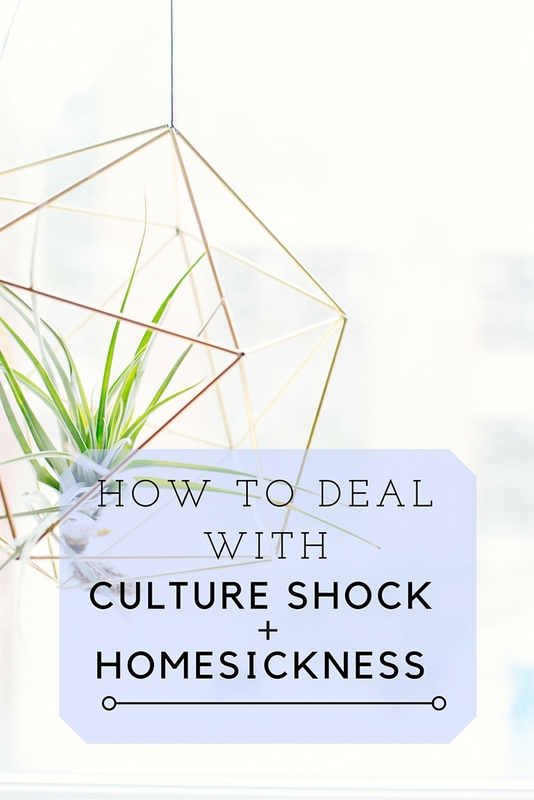 How do you deal with culture shock or homesickness? Please share your tips with me!